The K3/K4 trains (called 003/004 in Russia and Mongolia), connecting Beijing and Moscow via Mongolia, using Chinese coaches, and the K19/K20 trains (called 019/020 in Russia), running between Beijing and Moscow via Manchuria using Russian coaches. The scenery on the way is very impressive. You can appreciate different scenery from three countries, such as grassland, the Gobi Desert, Lake Baikal, and views of the Russian countryside. Every day, you will see different scenery through the windows. This route is quite popular among travelers who love to enjoy scenery from a train. Train station with a “*” means immigration inspection needed. *The time listed in the table is local time. The train will stop at Erlian Station for 3 hours to change the wheels for a different railway line because the railway widths are different between China and Mongolia. You can stay on board or get out of the train. Immigration inspection is needed at this station. The immigration inspectors will get on board and take all the passengers&apos; passports to stamp. There is immigration inspection again at Dzamyn Ude Station for entering Mongolia. The immigration inspectors will get on board and take all the passengers&apos; passports to stamp. At Suhe Bator Station, there is immigration inspection for leaving Mongolia. At Naushki, there is immigration inspection for entering Russia. All the staff on board are Chinese. US dollars are acceptable on international trains. 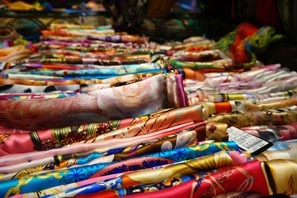 When you are in China, you can use the Chinese Yuan; when you are in Mongolia, you can use the Tugrik. Remember that only cash is accepted. There is no air-conditioning on hard sleeper carriages, only a small fan equipped on each hard sleeper compartment. 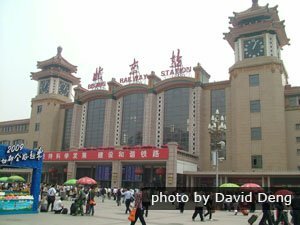 The train will stop at Harbin Station for 25 minutes for changing locomotive. Your passports will be taken by the staff for filling in arrival cards. 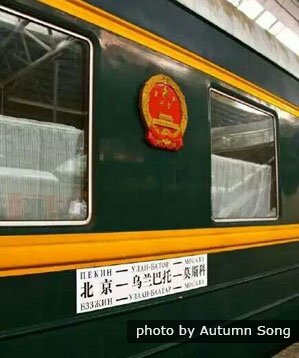 The train will stop for 2 hours at Manchuria for immigration inspection. Toilets on the train will be locked during this time. So it is a good idea to get off the train to stretch your legs after the immigration inspection. There is immigration inspection for entering Russia at Zabaikalsk. Then the train will stop for 4 hours to change wheels. You can get out of the train station to buy fruit, snacks and drinks. All the staff on board are Russian. Beijing – Moscow international train tickets can be booked at designated ticket offices in Beijing. Only cash is accepted and no English spoken. So you are recommended to book tickets with travel agencies like China Highlights. 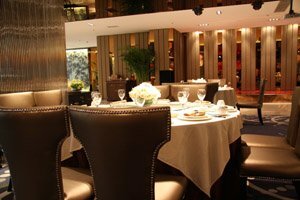 Make the booking online and tickets will be delivered to your hotel or personal address. Children under 4 years old accompanied by adults can travel free, but cannot occupy a seat/berth. A child ticket needs to be bought if you want to get a berth for the child. Children between 4 and 12 years old need to buy child tickets. Children over 12 years old need to buy adult tickets at full fare. To take train K19/K20, you need Russian and Chinese visas. To take train K3/K4, you need Russian, Mongolian, and Chinese visas, as this train also runs through Mongolia. Please note: There are no open tickets for this train. If you want to hop on and off along the way, you need to buy separate tickets. Search for train schedules and book a ticket now! 1. A passport valid for at least 6 months. 2. 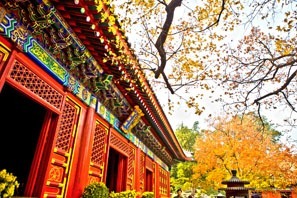 Itinerary of Chinese, Russian and Mongolian tours. 3. International train or flight confirmation letters. 5. Visa support letters. You can get visa support letter or invitation letter from local travel agencies. Can I Enjoy 144-hour visa exemption? Travelers who take the international train from Ulaanbaatar to Beijing do not qualify for 144-hour visa-free transit, because the valid ports of entry in Beijing are Beijing Capital Airport and Beijing West Railway Station (北京西站). Ulaanbaatar–Beijing international trains arrive in Beijing Railway Station (北京火车站), which is not the port for the 144-hour visa-free policy. Boarding an international train is basically the same as boarding a domestic train. Go through security – find your waiting room – find the platform – board the train. If you have difficulties in finding the right waiting room, ask a member of staff for help. Here is a phrase that might be helpful. It is advised that you arrive at the train station at least 1 hour before departure. What are the Facilities on the Beijing – Moscow Trains? 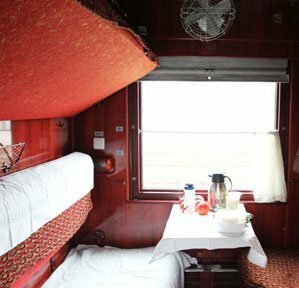 There is hard sleeper class (4 berths in a compartment with a lockable door) and deluxe soft sleeper class (2 berths in a compartment with a lockable door) on trains from Beijing to Moscow. A western-style toilet is available at the end of each carriage. There is no shower on board. On trains K3/K4, every two deluxe soft sleeper compartments share a wash sink. There are two power sockets in each hard sleeper carriage. And there is one power socket in each deluxe soft sleeper compartment. But you need to take a converter to be able to recharge your phone and camera. Unfortunately, the voltage is sometimes too low and you may be unable to turn your laptop on. You can ask the conductor for help. It is useful to know that the power is cut off when the train stops. 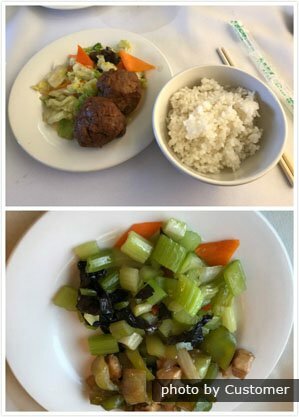 There is a restaurant car on the train, providing Chinese food when in China, Mongolian food when in Mongolia and Russian food when in Russia. Boiling water is provided at the end of each carriage. Scenery along the way changes from season to season. However scenery in summer from May to September is the most beautiful. Through the window you can see the mountains and plains of northern China, Russian villages and Siberian scenery. Train K3/K4 passes through Mongolia along the way, so you can also see the Gobi desert and the grassland of Mongolia on this train.